Aquaponics is the growing of fish and plants such as vegetables and flowers in a combined system. The technique combines aquaculture, which is the culture of aquatic animals, with hydroponics, which is the culture of plants using nutrient solutions without soil. Most common fish species used in Aquaponics are tilapia, ornamental koi, and goldfish while other fish species such as trout, channel catfish, and common carp have also been used. Regarding vegetables, literally any type can be grown in Aquaponics. Compared to regular hydroponics, Aquaponics uses only the all-natural fertilizer which the fish water provides to grow plants. Pesticides are never used because the life of the fish would be at risk, which at the end yields very healthy vegetables on your plate. Many Aquaponics operations in the United States, for instance, have been organically certified. 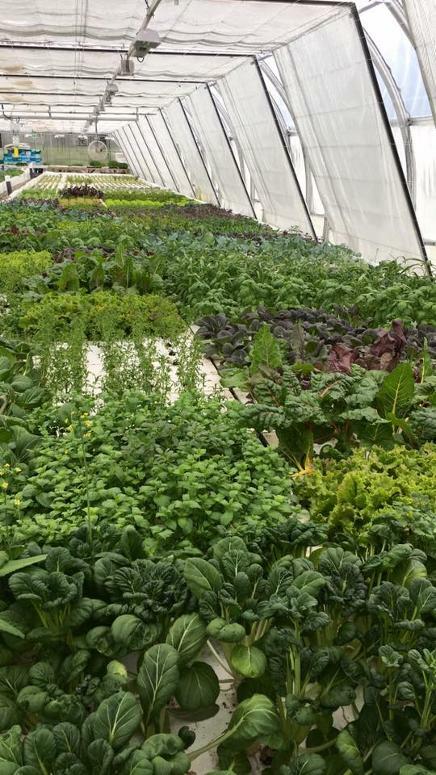 In addition, preliminary research has shown that Aquaponics vegetables taste much better and have a much longer shelf life compared to regular store-bought vegetables. With Aquaponics, no fish wastes are discharged to the environment, as fish waste is a very valuable resource which is reused in-house for the plants. Aquaponics is the most sustainable food production system in the world. It uses minimal water and resources compared to any other food production technique. How will this System be Beneficial to the Communities of St. John’s and Mount Pearl? Another big attribute of this technique is that it is a science model for sustainable development. Aquaponics "ecosystems" are the perfect educational attraction for students and people of all ages. From various types of plants floating in fish water, to thousands of fish swimming around in tanks, our Aquaponiccs facility is a must see. Aquaponic systems use just 10% of the water needed for field-based farming. Since the only energy required is electrical, Aquaponics is one the greenest ways to grow food. Aquaponics systems are beneficial because they don't harbour soil pests. Plants grow twice as fast due to the naturally fortified water.